At Smile by Design, we do something that doesn’t happen often at most other dental offices: we listen. We take the time to get to know our patients as people so we can create the most comfortable and fulfilling experience possible. Everything is done with a gentle touch and plenty of laughter along the way. Just because we provide truly high quality dental care doesn’t mean we don’t like to have fun at the office! Our warm and welcoming environment will make you feel like you’re visiting old friends rather than taking a trip to the dentist. Many Virginia Beach families are proud to call us their dental office home, and below, you can learn more about why so many patients are happy to visit us again and again. As you’ll see, we work hard to always put a smile on our patients' faces whether they are in or out of the dental chair. Our goal is to take the stress out of your dental care and give you the kind of smile that you’re always eager to show off! At the Virginia Beach dental office of Dr. Stephanie Santos and Dr. Vinita Folck, we think dentistry should be a positive experience. 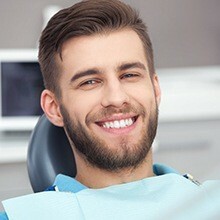 We listen to the concerns of our patients, use gentle approaches during treatments, and strive to create an anxiety-free, comfortable atmosphere for your dental care. “I was instantly put at ease … during and after the procedure I felt absolutely no discomfort whatsoever.” ~ Melanie J. Ever hear the saying, “Laughter is the best medicine?” Research has shown that laughter causes positive changes in brain chemistry by releasing endorphins and reducing the production of stress hormones. The team at Smile By Design loves to laugh with our patients! A: Fill me in when you get back. We offer dentistry for the whole family—from toddlers to seniors. Our services include regular checkups and preventive care, gum disease and root canal therapy, tooth restorations and replacements, and so much more! At our Virginia Beach office, we provide dental care for children and adults and do all that we can to ensure excellent oral health for your entire family. The Original Tooth Fairy Poll says the current rate for payouts to children who lose their baby teeth is $2.10 per tooth. Smile By Design uses the latest in dental technology to complete efficient and comfortable procedures. 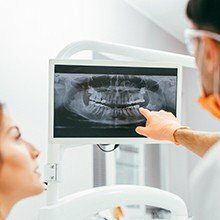 Our dentists and team attend meetings, lectures, and conventions to stay up-to-date on the most modern techniques, products, and equipment available in dentistry today. In 700 BCE, the Etruscans used teeth carved from mammals for dental restorations and created the first known bridgework. Luckily, our technology and training allow us to create results that look beautiful and natural -- no mammal teeth required! Smile By Design isn’t just the name of our practice—it describes our purpose. With our cosmetic and restorative dentistry services, such as Zoom! 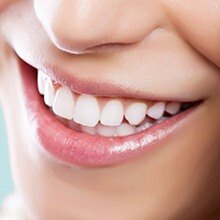 teeth whitening and root canal therapy, and our focus on restoring and maintaining your family’s dental wellbeing, we keep your grin gorgeous. Research conducted at the University of Illinois suggests that generally happy people who smile often live up to a decade longer. Online magazine Genius Beauty reported that people who laugh at least 17 minutes add a day to their lifespan. Yes, Virginia Beach, There Is a Smile by Design! And we want to meet you! Our dentists, business manager, and team are ready to offer comfortable, comprehensive, and caring dentistry. We look forward to seeing you soon at our Virginia Beach dental office.